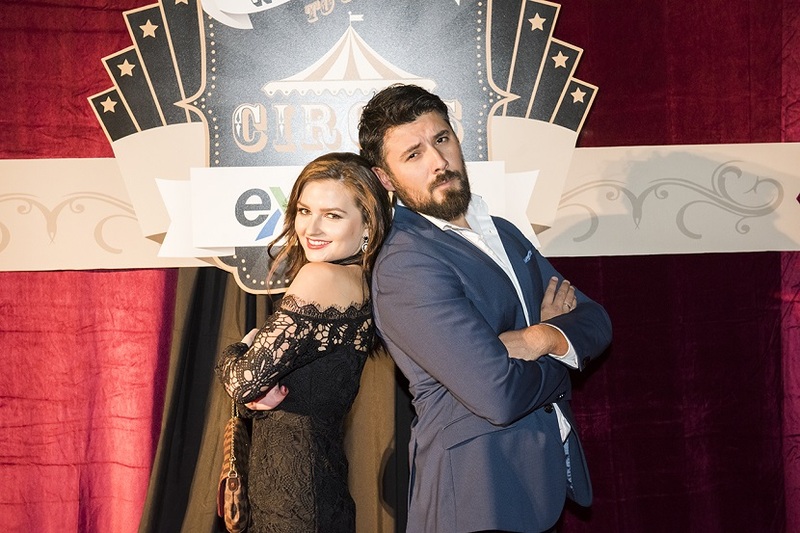 Roll up, roll up to the greatest show on earth! 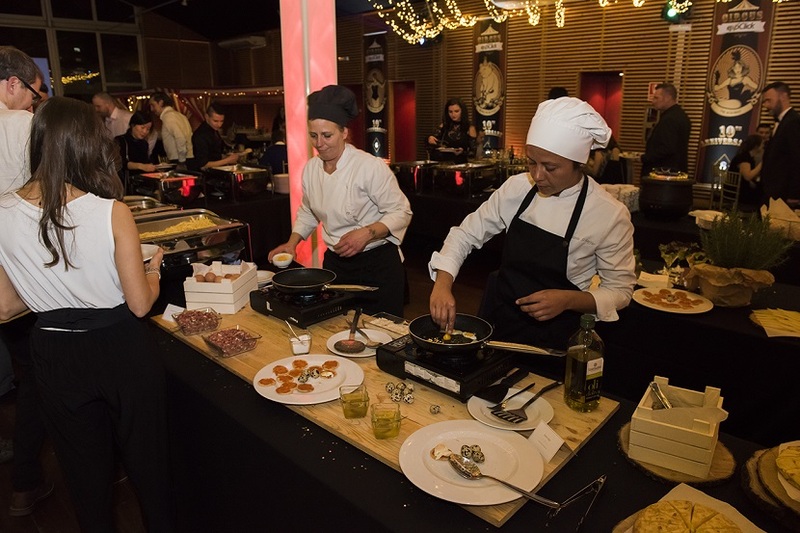 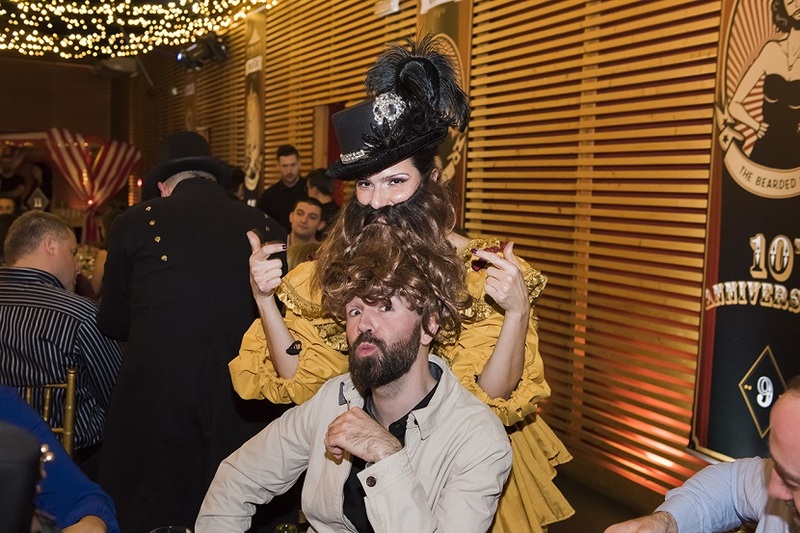 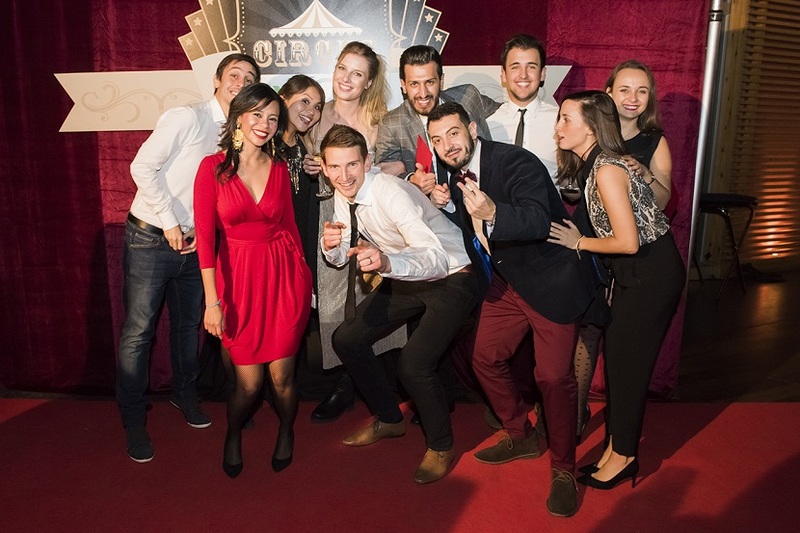 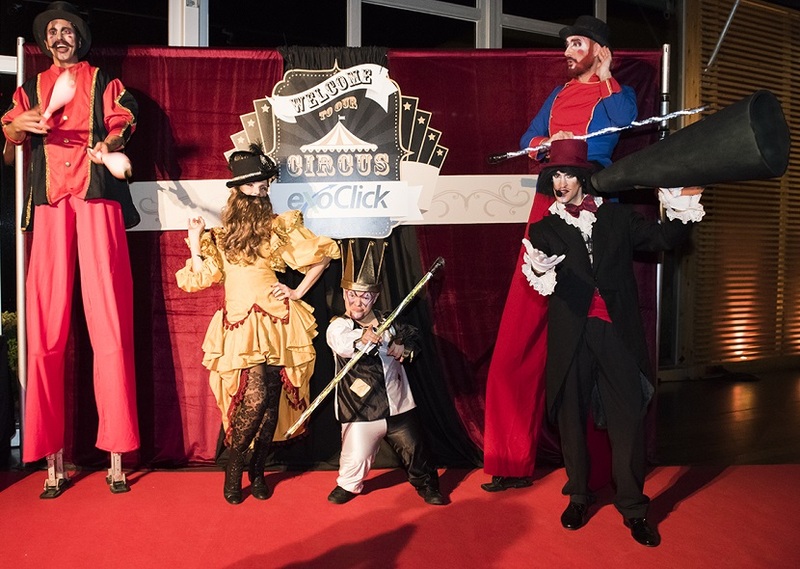 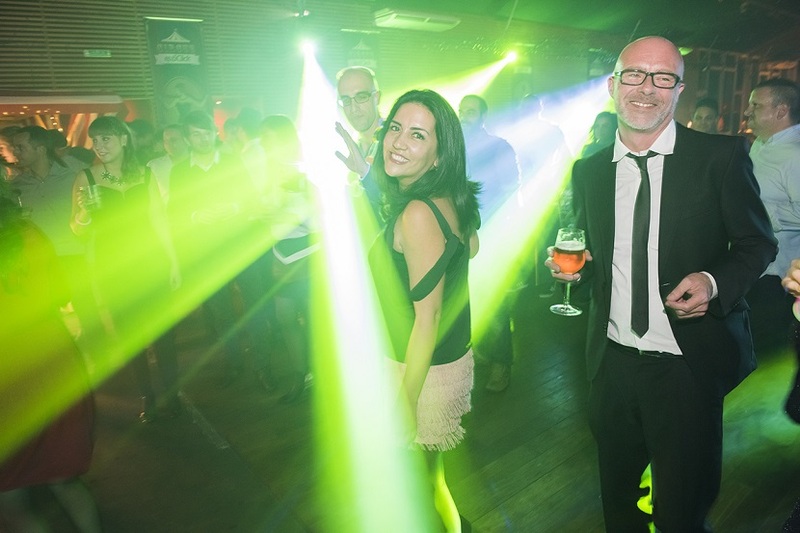 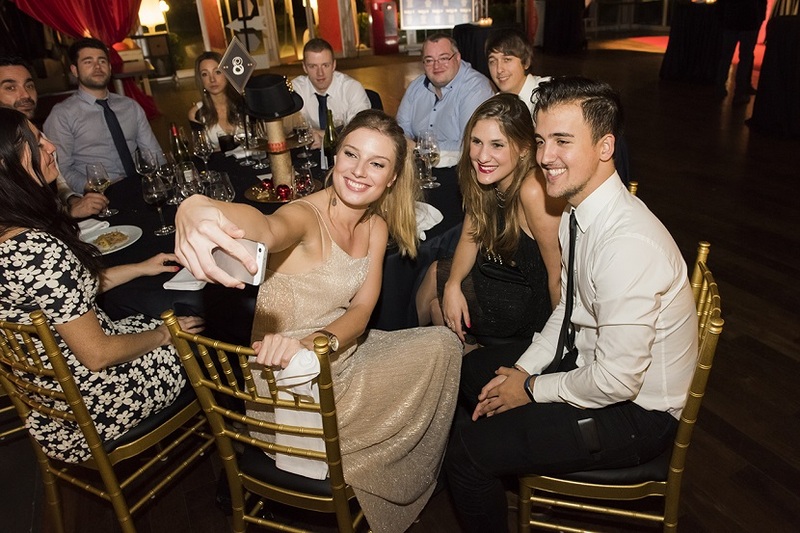 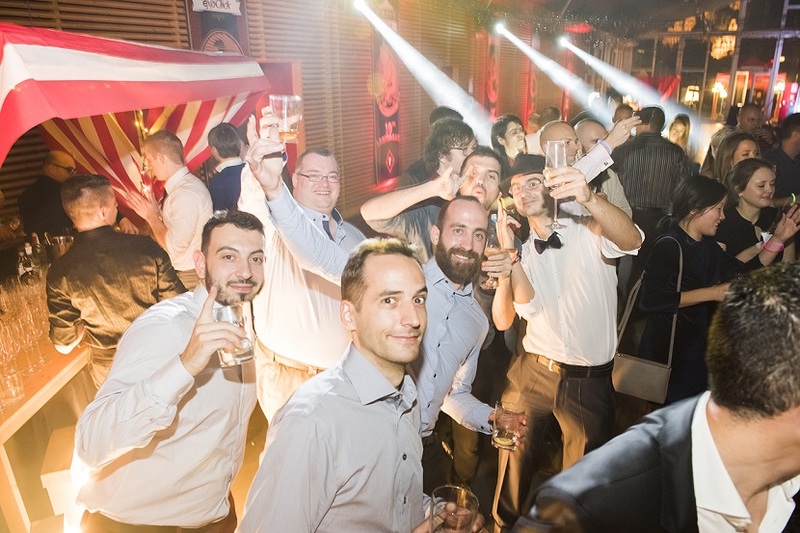 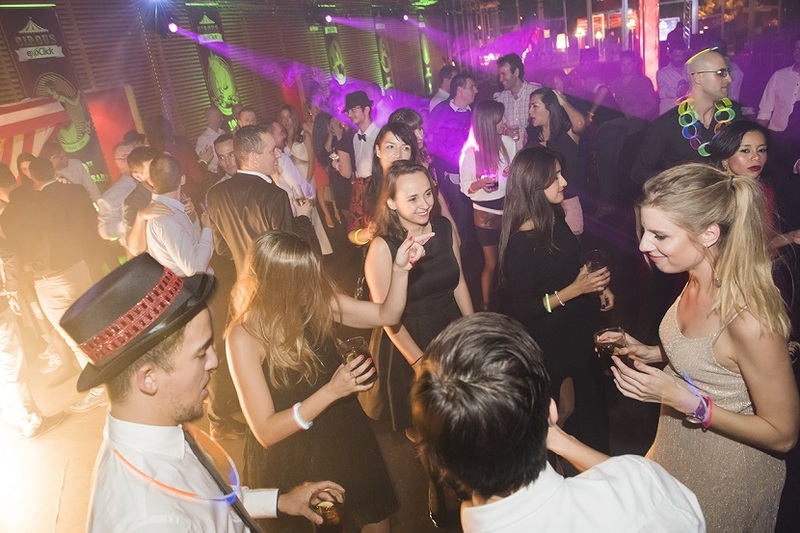 On the 10th of December 2016 the ExoClick group celebrated its joint 10th Birthday and Christmas Party, with 100+ employees flying in to Barcelona from our Dublin, Valencia and Madrid offices for a night under the big top at our Circus themed spectacular at the beautiful ‘La Dama del Paraguas’ inside Barcelona’s Zoo. 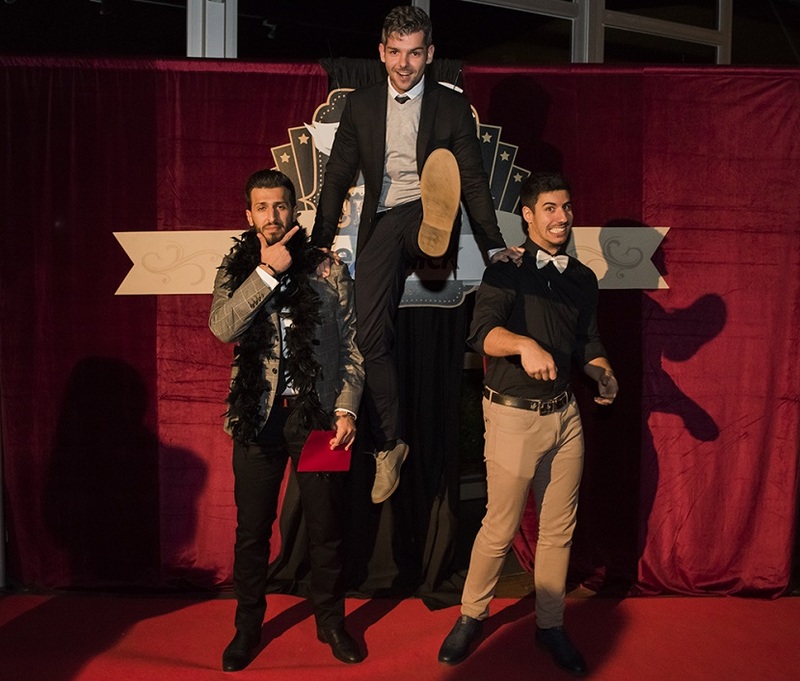 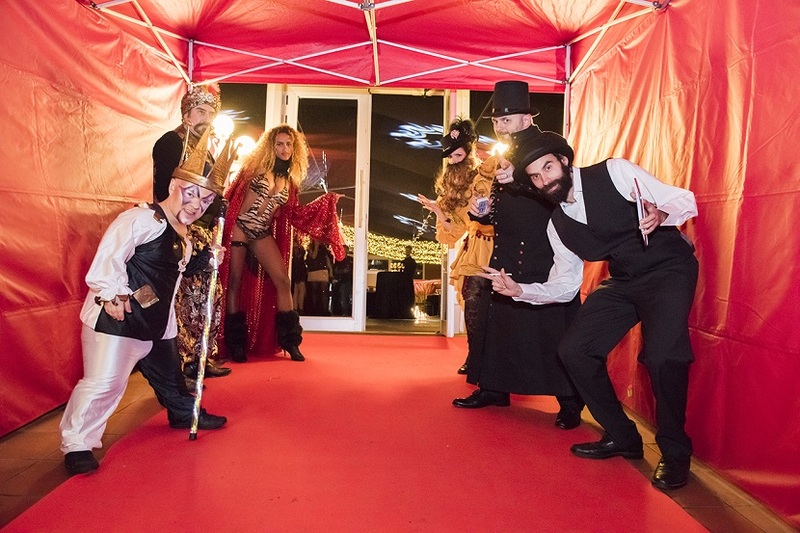 As guests walked the red carpet into the venue they were greeted by the circus ring master, juggling clowns, stilt walkers, a magician, knife throwers, a Fakir and the bearded lady with her pet midget, ready to entertain the + 100 party goers. 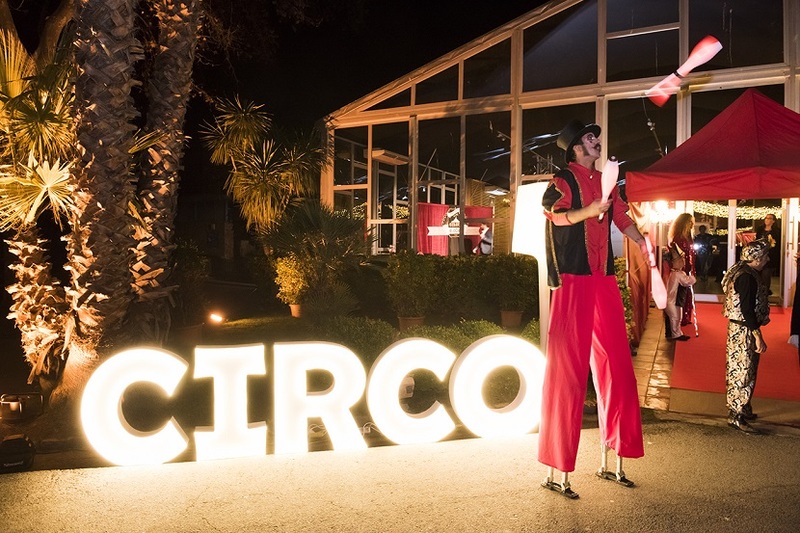 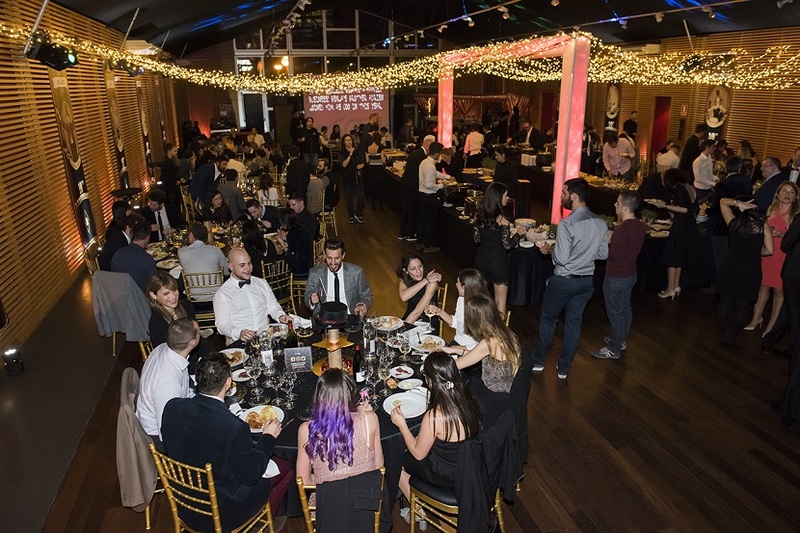 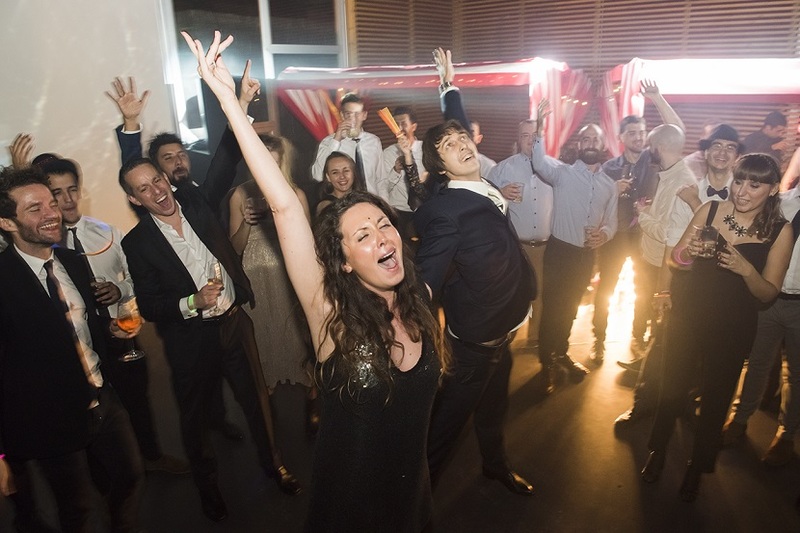 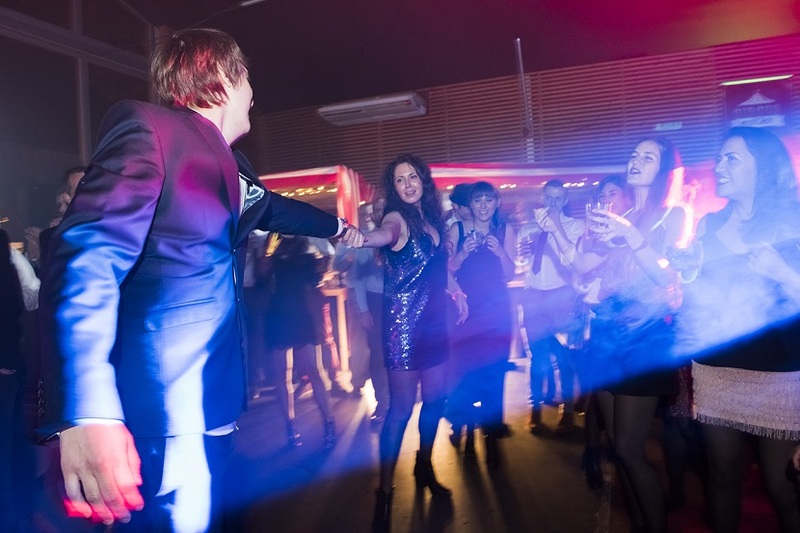 The venue was decorated with hundreds of sparkling lights draped across the ceiling, circus posters decorated the walls, a giant photocall, a caricature artist sketched guests on his iPad, and smokers got their special outdoor smoking zone decorated with hay bales, cushions and candles. 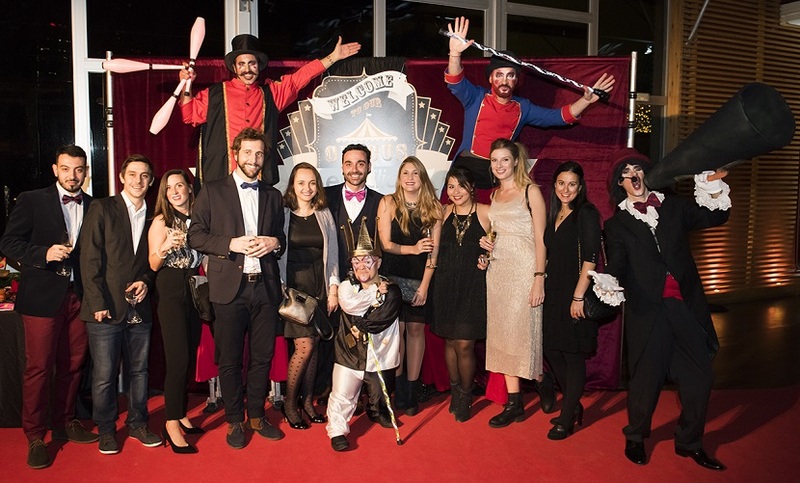 The night kicked off with champagne and the glamorous guests posing at the photocall wall. 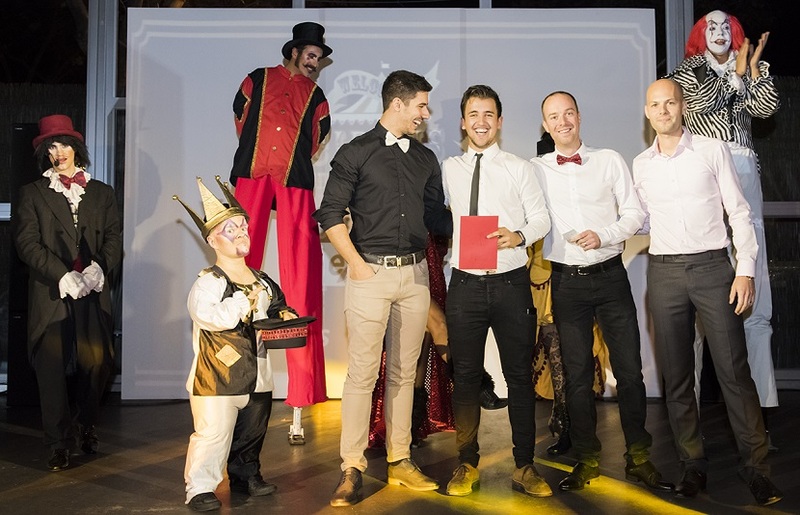 Followed by a nail biting knife throwing performance. 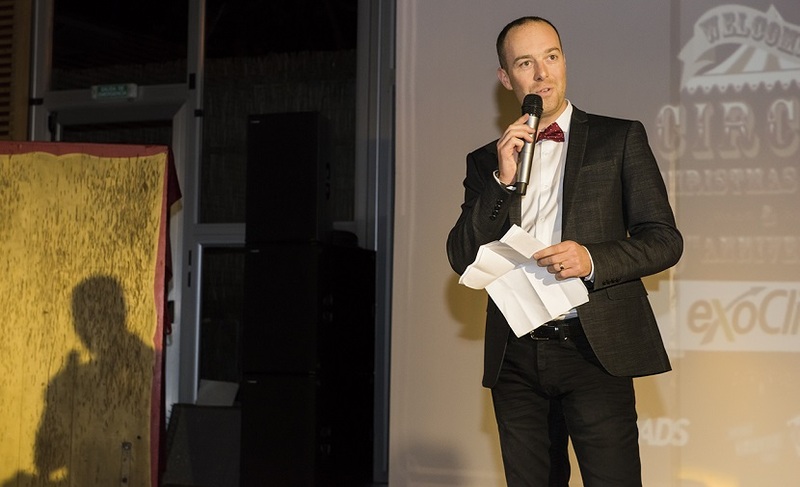 Founder and CEO Benjamin Fonzé made an emotional speech taking guests back to the early days 10 years ago and what the company had gone on to achieve and plans for the future. 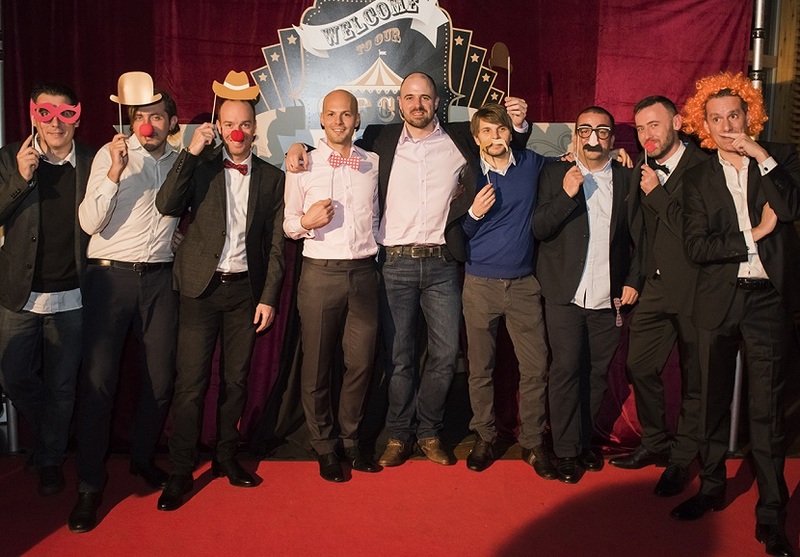 Followed by a special video presentation which ExoClickers had created especially for Benjamin and COO and brother Adrien, with each team in the company bringing their own brand of humour with their own ‘Happy Birthday’ videos. 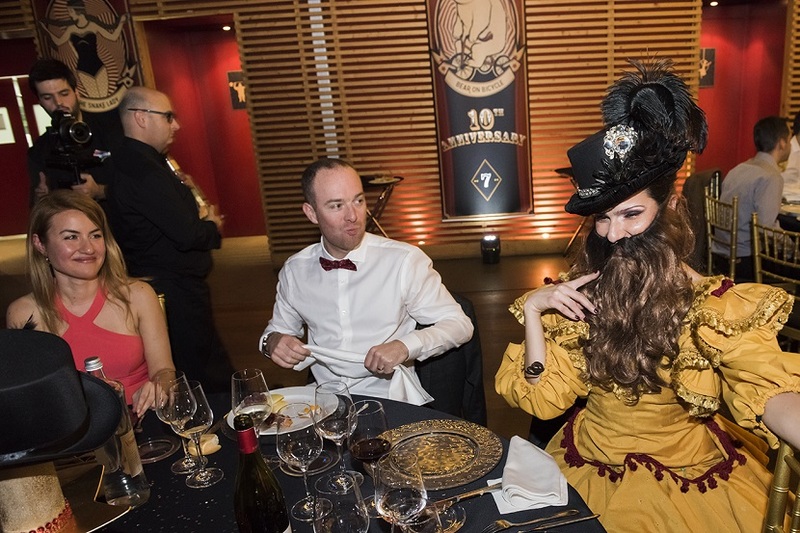 A fine dining buffet was served to guests seated on golden chairs in tables of ten with glittery golden table centrepieces topped off with top hats! 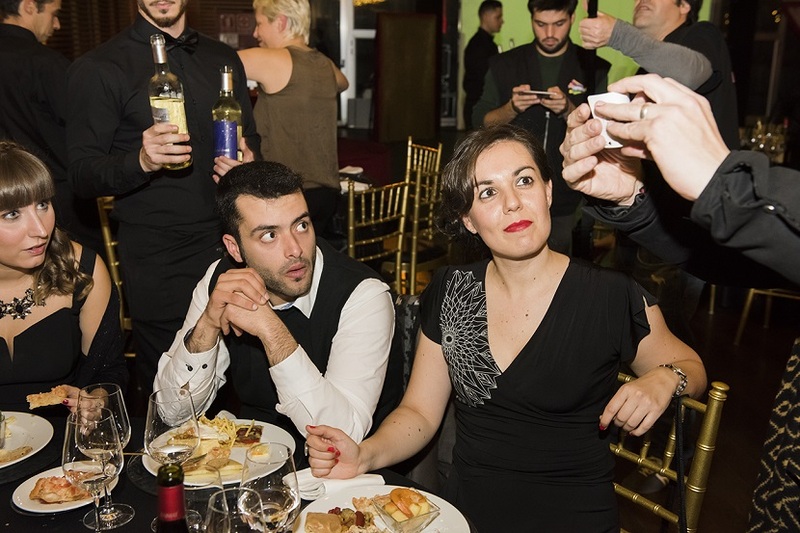 The wine flowed freely as guests dined on a variety of traditional Catalan delicacies with jazz music in the background and our circus performers going from table to table entertaining us. 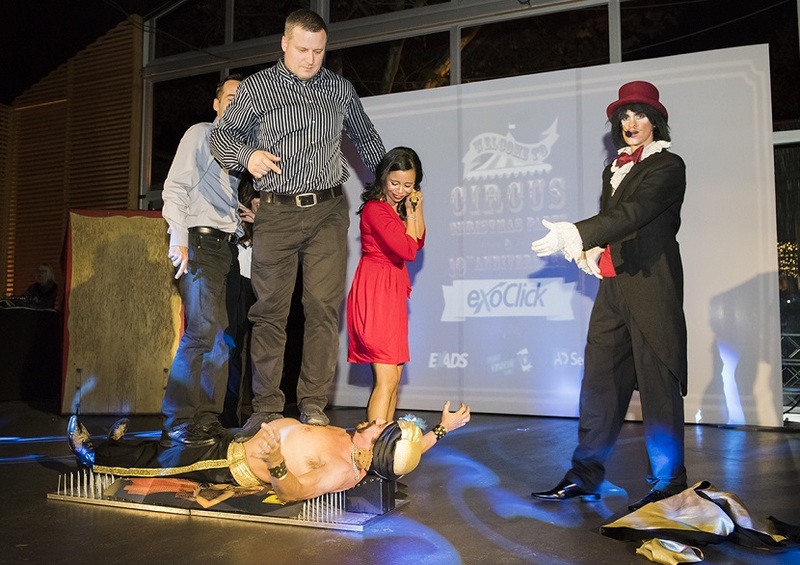 After dinner came the Fakir’s death defying show as he knife swallowed and lay down on his bed of nails with ExoClickers from the audience standing on top of him. 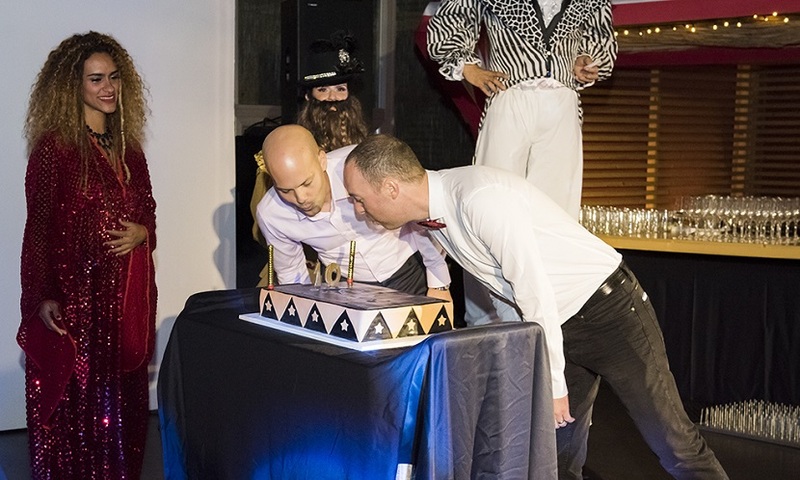 The circus performers brought on ExoClick’s 10th birthday cake and magnums of champagne to toast 10 years of success. 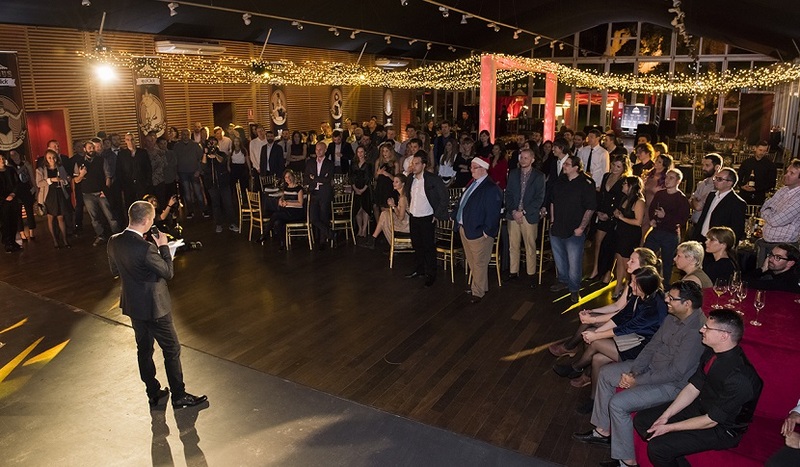 Followed by the legendary ExoClick raffle where everyone’s names were put into a hat with 10 great prizes up for grabs including an iPhone7, PlayStation VR and a weekend trip abroad. 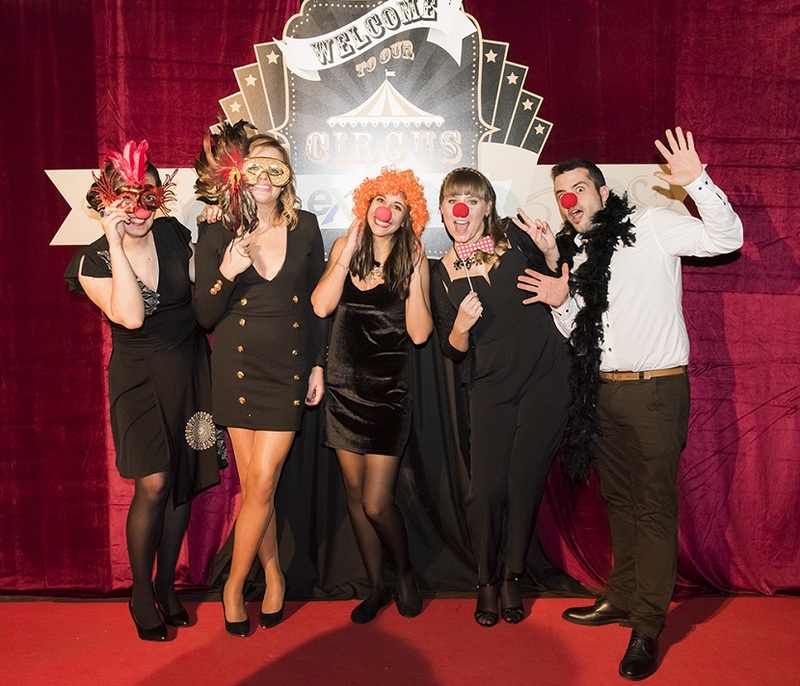 At midnight the big top turned into a club! 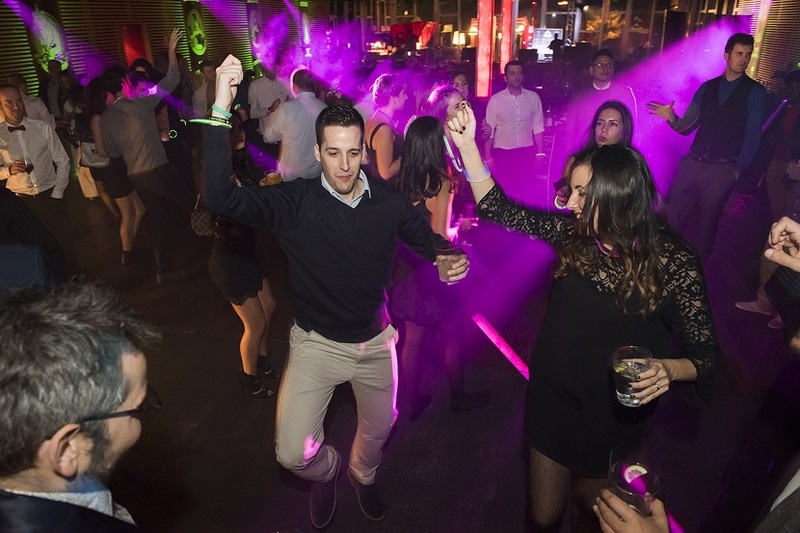 The free bar was open and out came the tequila shotmasters Benjamin and Adrien as everyone hit the dancefloor and got their groove on to the DJ. 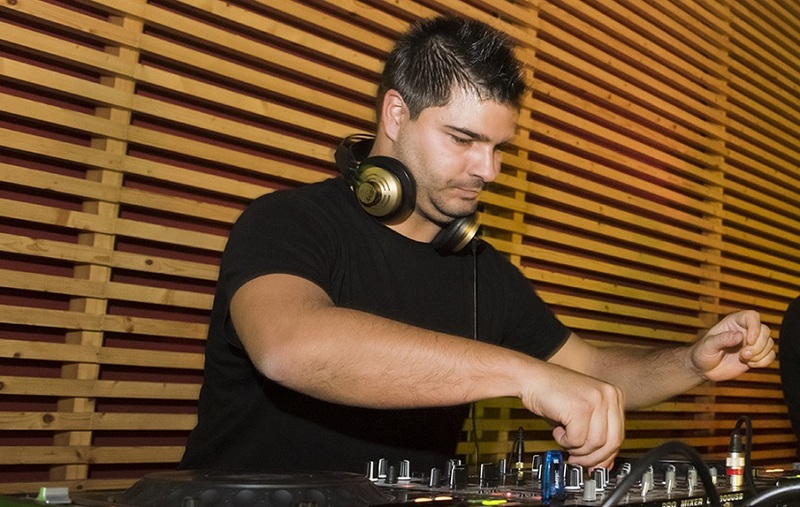 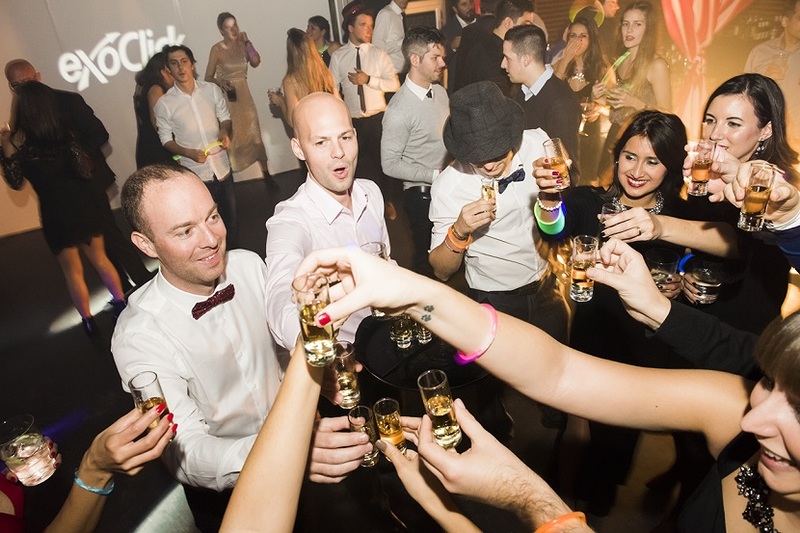 The ExoClickers partied hard until 4am, and the party continued in the VIP at club Opium.